Please join us for “Summer by the Sea,” our annual summer fundraiser in support of our mission to inspire creativity and critical dialogue by engaging the regional community in the understanding, appreciation and practice of visual art. We will honor the Mystic Garden Club for their dedication to local non-profits including MMoA for over 90 years. 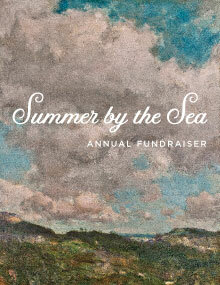 The Summer by the Sea Annual Fundraiser will feature original works of art by MMoA Elected Artists and Faculty, enticing raffle and silent auction items, delicious bites from A Thyme To Cook, and signature cocktails.